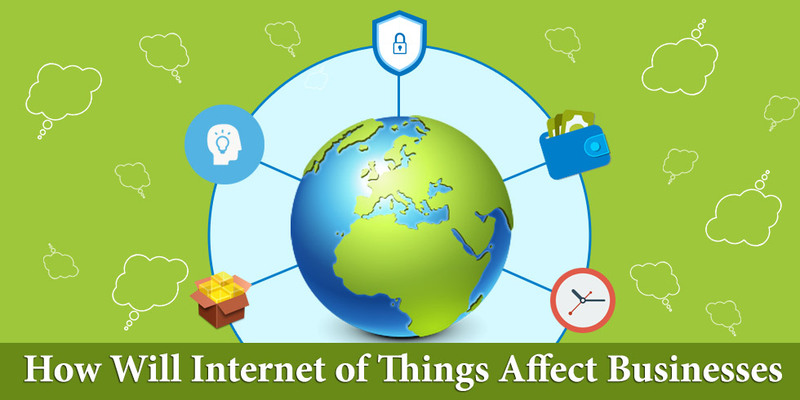 The “Internet of Things” (IoT) is touted as the next big thing in the world of Internet. This revolutionary development will take Internet to the next level where it will be possible to talk to your car, switch on your lights before you enter the home or get your coffee machine to work as you near it. The possibilities with Internet of Things solutions are endless and it is all set to transform how you conduct business. Here, in this short write-up we take a look at how Internet of Things would affect businesses. Go back in time, when you used your phone only to make phone calls and send text messages. Music and camera changed the way you consumed a mobile phone. These days’ phones have got smarter and many people are dumping their desktops and laptops. IoT will allow businesses to know the mood and expectations of the customers and help create smarter products. Yes, internet in its present form has helped in improving the efficiency levels of businesses. It has helped automate the time consuming mundane tasks. IoT will take these things a step ahead as it will not only offer volumes of data, but also analyze them so that you get meaningful information. All these will help in expediting tasks such as replying to an email or sending a file to someone in an office. Internet of Things will go beyond devices and rely on sensors that update businesses with real-time data on demand and supply in the market. Businesses would be able to collect more specific feedback on the use of their products. These will help businesses make informed decisions that increase sales and profits. The days of password based security is soon going to be over as biometrics will take over the entire ecosystem of authentication based access. For instance your laptop may boot as soon as you are near it and go into sleep when you are away. Financial transactions may rely more on your physical body than what you type on the keyboard. This will go a long way in enhancing the security around your real and virtual assets. Though products and service companies have streamlined business operations there are still possibilities of major cut in operational expenses. IoT apps will help in identifying these areas of cost cutting and help businesses take necessary steps. They would also take businesses to the next stage of smarter operations where they can harness the energy of the wind, sun and water creating a system of smarter grids that can save energy. If you are interested in IOT app development in India, you need not look beyond Semaphore Software. We have been one of the early movers for this technology in India and cater to customers around the globe. IoT app development is never short of possibilities if you have the right idea. Write to us at info@semaphore-software.com and we shall discuss your ideas.